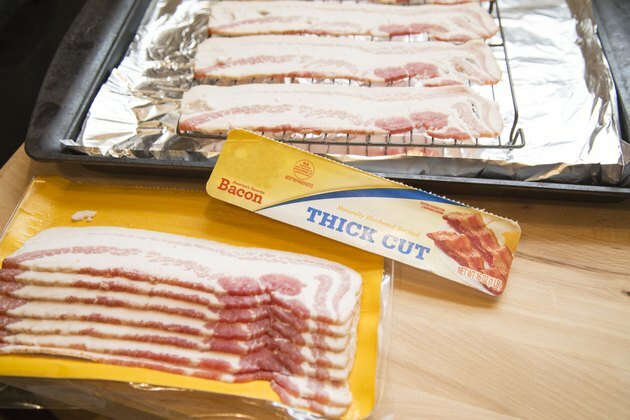 Where you'd have 16 to 20 slices a pound in a package of regular, thin-sliced bacon, you'd have half as many slices in a thick-sliced package. Thick-cut bacon is roughly one-eighth of an inch thick with 10 to 14 slices per pound. Needless to say, even one slice of thick-cut bacon will pack a lot of fat and calories. 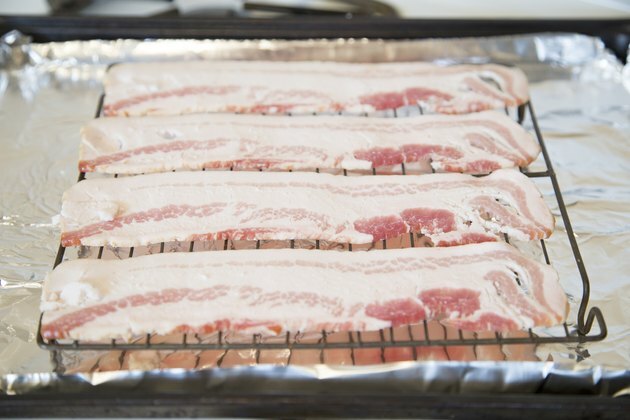 You can improve the nutritional value of thick-cut bacon by baking it on a rack in the oven to render some of the fat. Preheat the oven to 400 degrees Fahrenheit. Line a plate with paper towels and set aside. 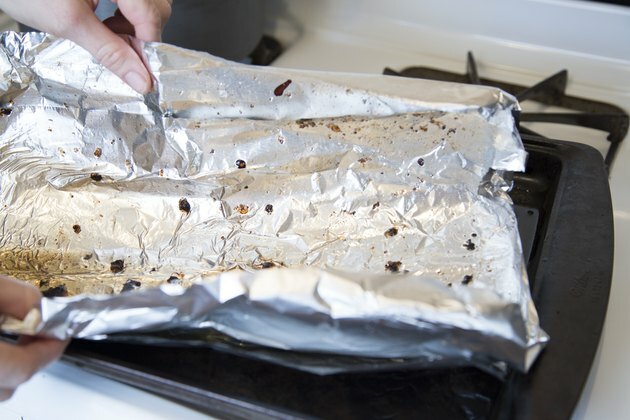 Tear several sheets of aluminum foil off a roll and press them into a jelly roll pan or cookie sheet with a rim. The foil will make your cleanup much easier. 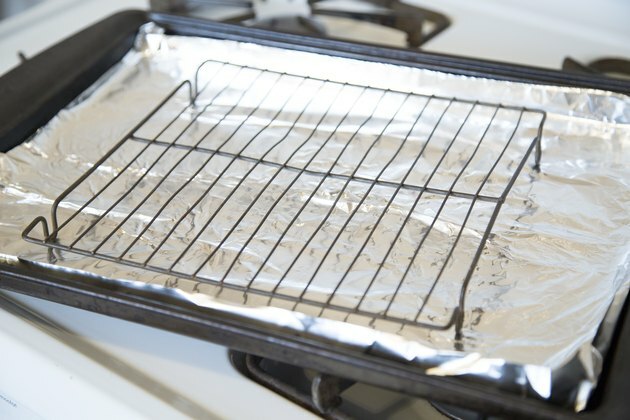 Put a baking rack on top of the foil. The rack should have short "legs" and fit within the pan so that fat doesn't drip over the edges and smoke. 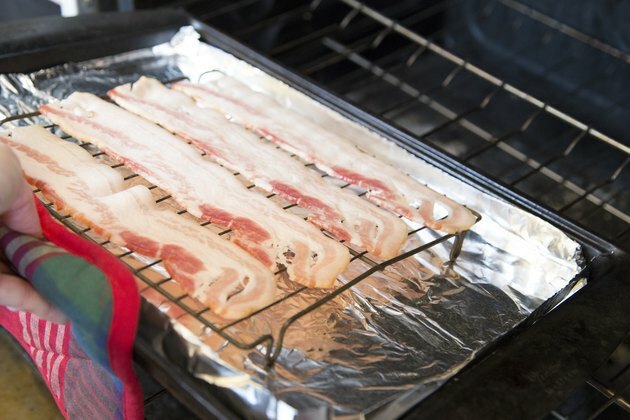 Lay strips of bacon in a single layer across the rack. Do not overlap the strips or they will cook unevenly. 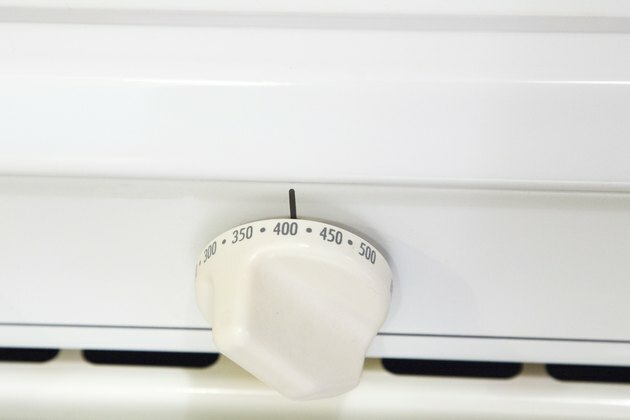 Slide the cookie sheet into the preheated oven and bake for 20 to 30 minutes. Start checking the bacon at around 15 minutes for doneness. The thickness of the cut determines how long it takes for the bacon to get crisp. Remove the pan from the oven with mitts, being careful not to splash the hot fat. 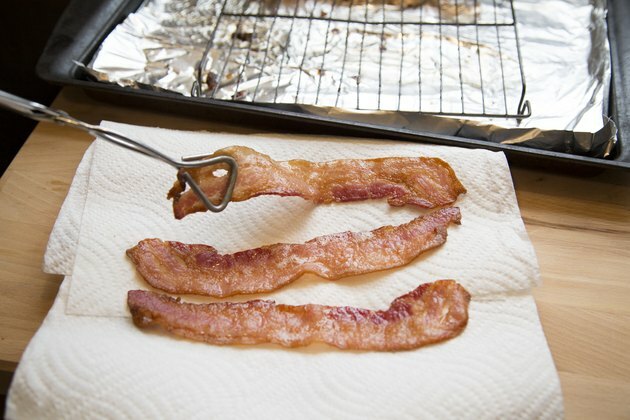 Transfer the cooked bacon to the paper towel-lined plate to cool slightly. The towels will absorb even more of the fat. 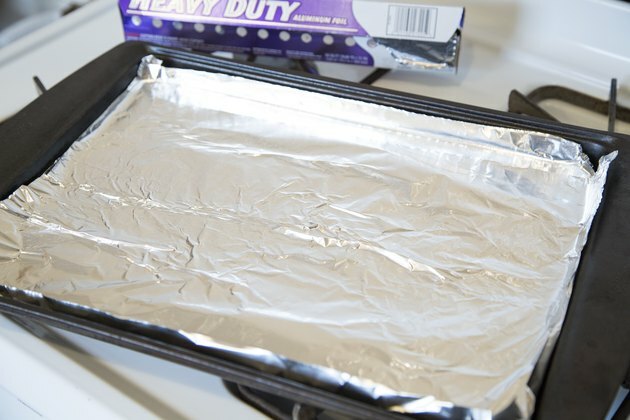 Lift the aluminum foil out of the pan once the fat has cooled and solidified and throw it away. If you put the bacon in a cold oven and then heat it to 400 degrees, the bacon won't shrink as much, according to "Cooking Light." You'll have to cook the strips longer, though.